The man called Cable is coming. Following Ryan Reynolds' release of the first look at Cable earlier today, Josh Brolin just offered fans their first full body look at himself in character for Deadpool 2. Brolin shared the photo to Instagram with the intimidating message, “Now offering 25 percent off your next autopsy.” He added hashtags reading “You’re mine, Deadpool.” Check out the photo below. In the Marvel Comics universe, Cable is a master tactician raised in a dystopian future who travels back in time to prevent the rise of Apocalypse. He has a long history with Deadpool, and the two are frequently paired together with Cable playing the straight man to Deadpool's zaniness. Deadpool 2 currently has a 4.07 out of 5 ComicBook.com User Anticipation Rating, making it the fifth most anticipated upcoming comic book movie among ComicBook.com readers. Let us know how excited you are for Deadpool 2 by giving it your own anticipation rating below. David Leitch (John Wick) will direct the sequel, taking over for original Deadpool director Tim Miller. Ryan Reynolds will return as Wade Wilson, a.k.a. Deadpool, the Merc with a Mouth. For the sequel, he'll be joined by Josh Brolin as Cable. Cable was co-created by Deadpool creator Rob Liefeld and Louise Simonson. 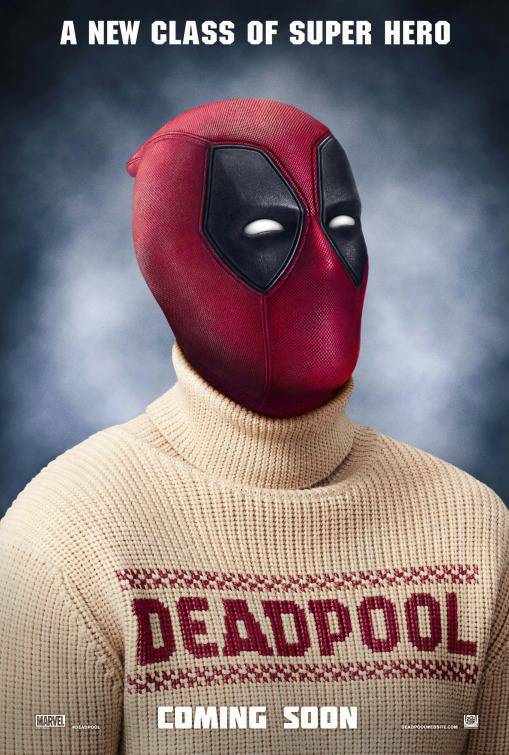 He has often been paired with Deadpool as his grim, serious demeanor serves as the perfect foil to Deadpool's crude and zany humor. The duo headlined an ongoing comic book series, Cable & Deadpool, for 50 issues. Atlanta star Zazie Beetz has also been cast in Deadpool 2. She will play Domino, a mutant with probability manipulation abilities that endows her with improbably good luck. In the Marvel Comics Universe, Domino was a member of Cable's mercenary crew, Six Pack, and one of his early love interests. Jack Kesy has been cast in an undisclosed villain role, speculated to be Black Tom Cassidy. Shioli Kutsuna has also joined the production in an undisclosed "key" role.